I feel like my kitchen repertoire is getting pretty boring, so I thought I would dig up a couple of easy chicken recipes to add to the rotation this week. Our Spring schedule is insanely busy, so when I say easy, I mean easy. Like already have the ingredients in the house, cook everything in one pan, and no need to marinate because that would require me to think about dinner at least an hour before I start cooking it. The next time we have quinoa for dinner, I am going to make sure to make some extra so I can try this quinoa crusted chicken recipe from Closet Cooking. 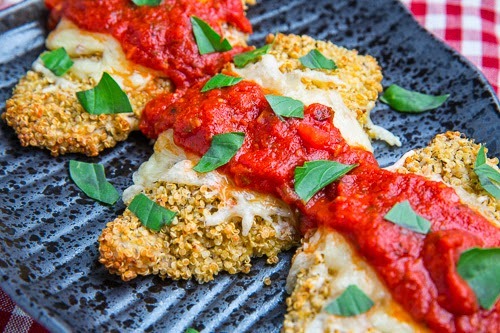 I probably won't make it as chicken parmesan, since I have kiddos that don't love red sauce, but I can think of a few recipes that use bread crumbs that could use a quinoa makeover. 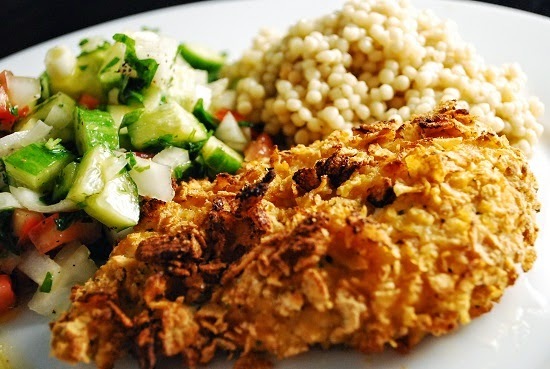 I am exited to try hummus-crusted chicken recipe from Gimme Some Oven. We love hummus and I imagine it keeps the chicken really moist. Not to mention the recipe is super easy because you can use store bough hummus. 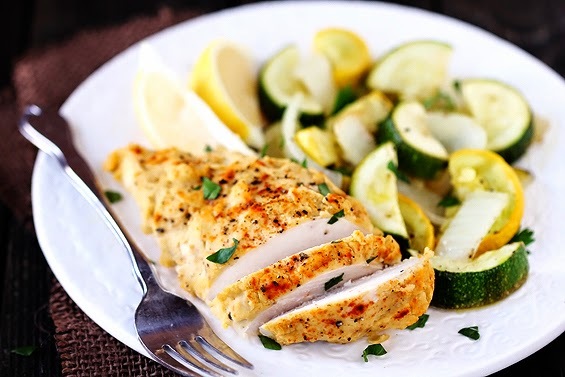 Baked ranch chicken uses fat free sour cream, corn flakes, and ranch seasoning for the coating. Another quick and easy chicken recipe that uses items I probably already have in my house and isn't completely boring. You can get the recipe for this one over at Laa Loosh. If you have any really easy chicken recipes, I would love to see them! Leave a link in the comment section!